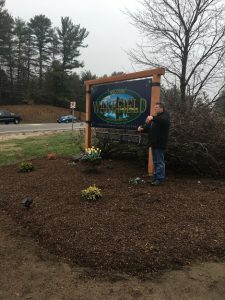 What a view! 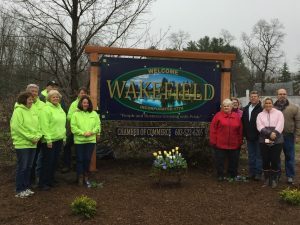 The Greater Wakefield Camber of Commerce and the Pride of Wakefield Volunteer Club combined their efforts and transformed a beautiful idea into a wonderful reality. 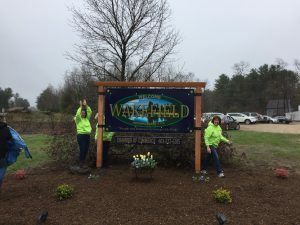 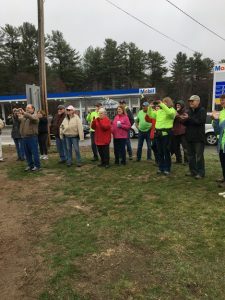 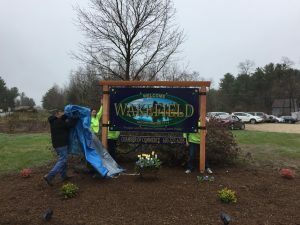 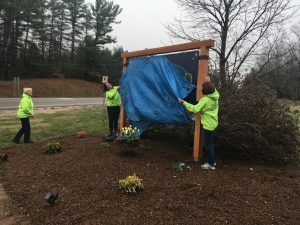 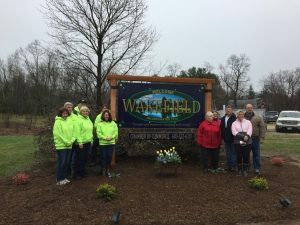 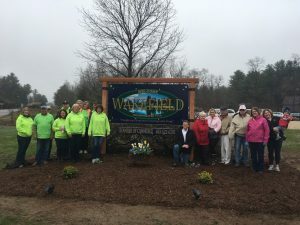 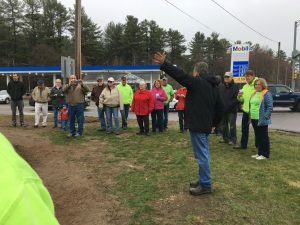 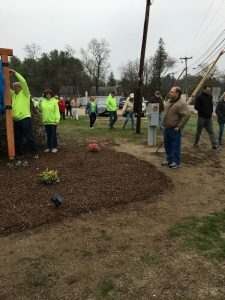 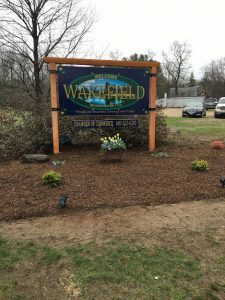 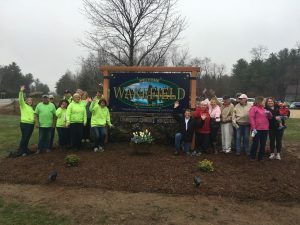 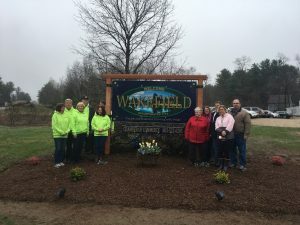 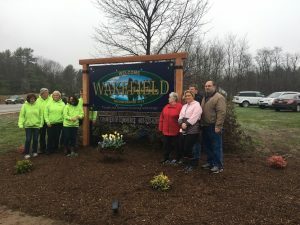 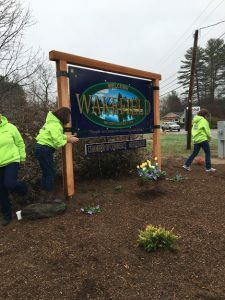 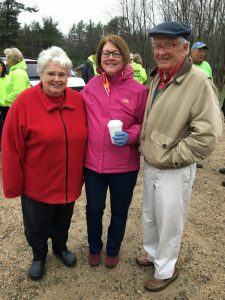 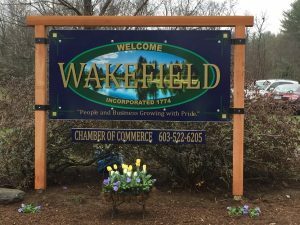 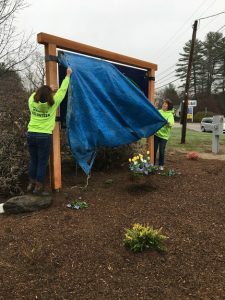 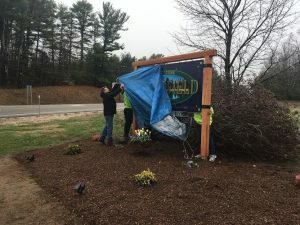 The old, hard to read “Welcome to Wakefield” sign was removed and the new sign was revealed on April 22nd in front of many town members and some friends from our neighboring towns. The Pride of Wakefield Club and Chamber of Commerce landscaped the area and brought the new piece of property to life again! 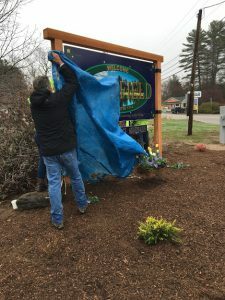 Thank you to everyone who helped, supported and came to the unveiling. 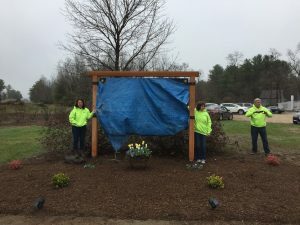 This is just the beginning.